With blue cheese and creamy sour cream, this potato salad is delicious and festive for 4th of July. 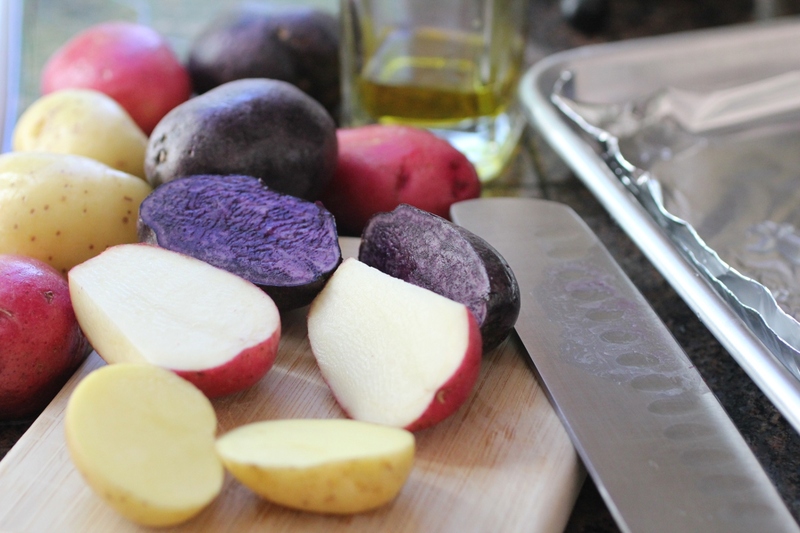 Our Red, White & Blue Potato Salad is part of a complete 4th of July grilling menu. These simple holiday recipes are easy to make and delicious. Print out a complete Grocery Shopping List for this menu below! I marinate my steak about two days in advance, so come grill day the steak is ready to cook- saving me lots of time.